The Schneider Group is happy to announce the launch of its new website www.gschneider.com. With the new website, we aim to deliver our visitors relevant information for their wool business. 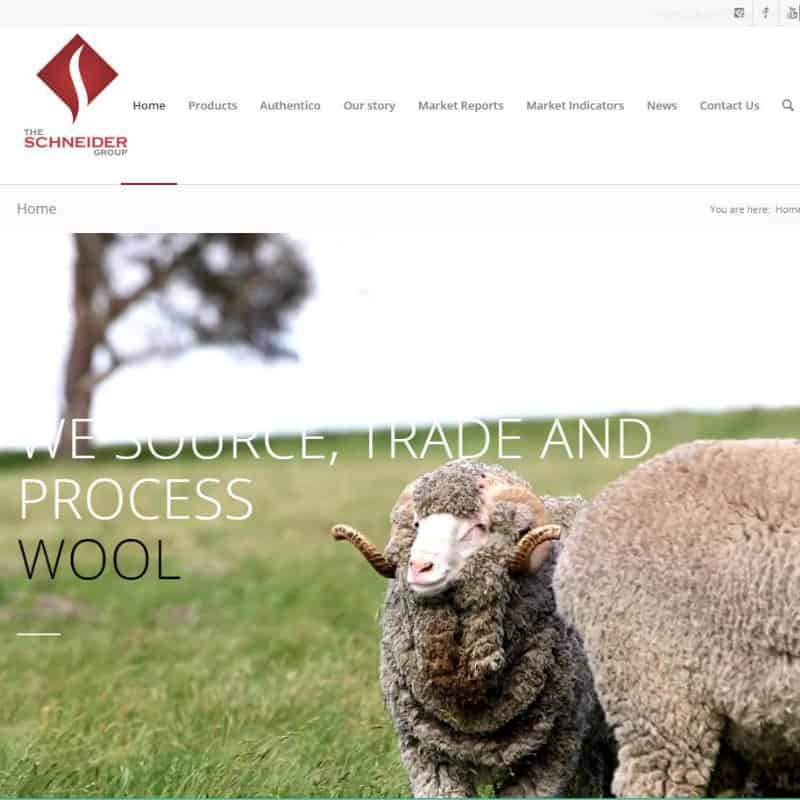 We continue with our services such as the market index and the market reports on the Australian and New Zealand wool markets as well as on the cashmere and silk markets. In addition, we present you with other interesting news and stories from the Schneider Group and the different fibre industries we operate in. If you follow us closely, you may remember that we only launched a new website (now the old one) less than 2 years ago. So, why did we go through this re-launch process once again? Website software, the related technology as well as regulatory requirements develop so quickly nowadays that on average websites get re-launched every 2 to 3 years. For us, it was also time to change once again as we have outgrown the possibilities of our past website. With our new website, we have the flexibility to serve you better and keep you regularly up to date about what is happening at the Schneider Group. With the digitalisation of the society we operate in and service, there is a higher demand for transparent corporate culture and social responsibility. We fully support this and our new website helps us communicate more openly and consistently with our customers, wool growers and other fibre suppliers as well as retail brands. We hope that you find all the information you need on our new web pages. If there is something we can still improve to give you a better service, then do let us know. We would love to hear from you. How to receive the market reports? If you no longer receive your market reports by email, then we kindly ask you to sign back up to the list. Due to the European General Data Protection Regulation, we need your written consent that we are allowed to send you our newsletter and market report. You can sign up by filling in the pop-up banner that shows up when you enter the sight. If the pop-up banner is not showing up, check if your browser is using a pop-up banner blocker and turn it off for this site.